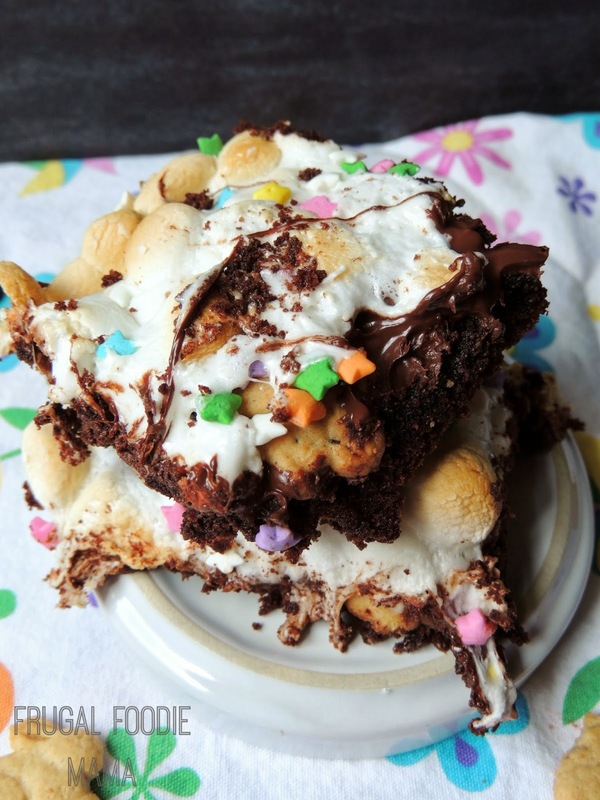 These ooey, gooey S'mores Bunny Graham Bars are packed full of chocolate, marshmallow, and bunny shaped graham crackers. 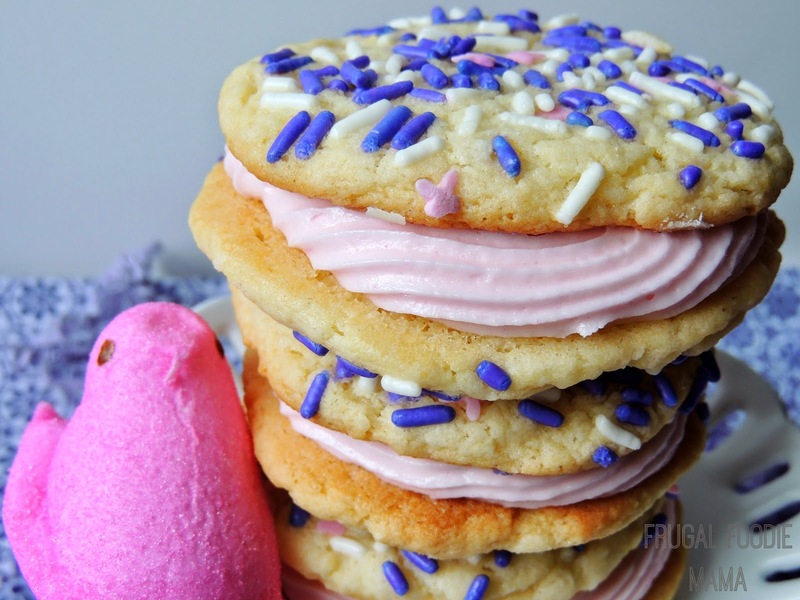 The perfect sweet treat for Easter! In case you all have not already been counting down, Easter is less than two weeks away. That tidbit kind of just dawned on me the other day when I pulled out at my blog planner at the start of April to start plotting my culinary creations for the next few weeks. Oh yes... it is time for me to start pulling out the pastel sprinkled, bunny shaped deliciousness for you all. ;) I am determined to not let the Easter season sneak up on me like it did last year. Seriously. I posted just one recipe that was even remotely Easter in nature in 2013- my Carrot Cake Swirled Cheesecake. Not that I am scoffing at the cheesecake. It was seriously the best cheesecake that has ever come out of my oven, & I highly recommend it for your Easter dinner dessert spread. But it may not be a dessert that everyone will appreciate. 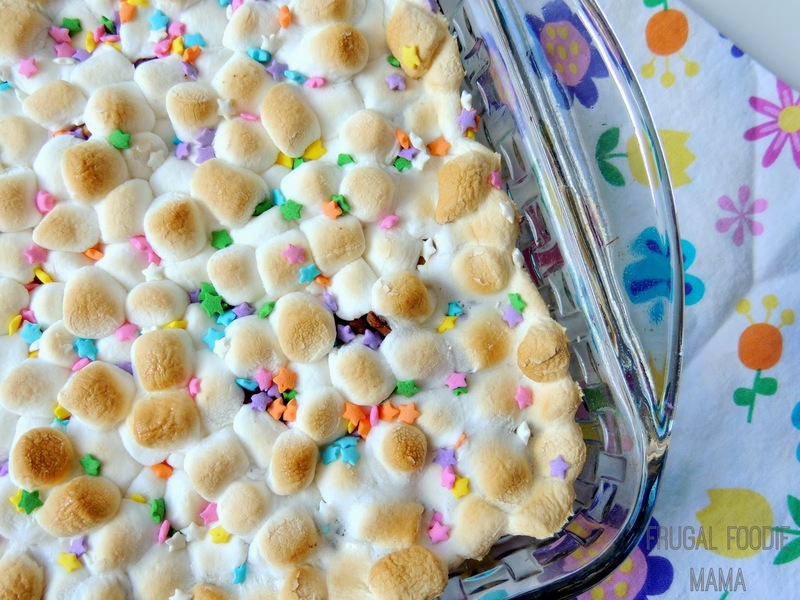 These S'mores Bunny Graham Bars are perfect for the kiddie table. Not that you have to be under 4 feet tall to indulge in these. But I can definitely see the kiddos clamoring more for one of these ooey, gooey bars than for a slice of the cheesecake. And come on... there are super cute bunny shaped grahams on them! Preheat your oven to 350 degrees. Spray a 9x9 baking pan with cooking spray. Set aside. In medium mixing bowl, combine the cake mix, melted butter, and egg. Mix well. Bake for 12-15 minutes or until almost set in the middle. Take the pan out of the oven and sprinkle the chocolate chips, then the bunny grahams, and then the mini marshmallows evenly over the top. Shake on some spring colored sprinkles, if desired. Return to the oven and bake an additional 8-10 minutes, or until the marshmallows are golden brown. Let cool to warm before cutting. 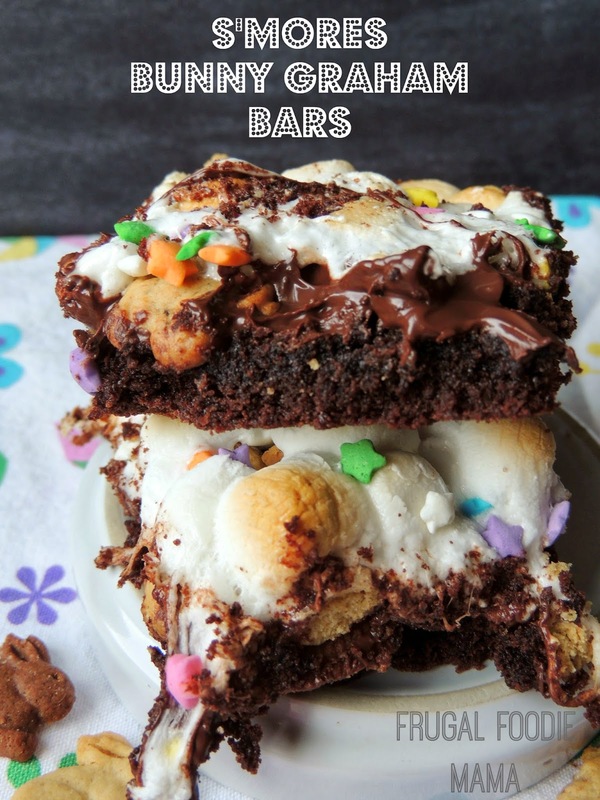 These bars are wonderful while still warm since the chocolate chips will be ooey and gooey, just like a campfire S'mores. Store any leftovers tightly wrapped at room temperature. No worries if you cannot find bunny shaped grahams, although it does seem that everyone is putting out bunny shaped something or other right now. You could easily use teddy grahams in these or even regular graham crackers that you break into smaller pieces. Does Easter always seem to sneak up on you too each year? What is your favorite Easter treat to indulge in this time of the year?